These seek to be effective prayer-based missional communities, connected with the Benefice. A Local House of Prayer is people meeting to pray for their area and for their community It could start with 2 people or even just 1. It could meet on a day and time that is suitable for its members. . 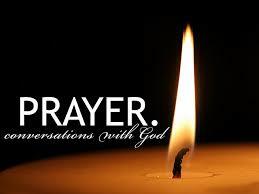 The purpose of a local house of prayer is for God's Kingdom to come in the area for which it prays. "God's Kingdom" simply means what happens when God is in charge - blessings such as good relationships, joy, peace, economic stability, health, growth, refreshment, love... etc. 5. Pray for God to send "workers into his harvest field" in your area. a) Who/ what can you affirm/bless? b) To whom can you show mercy/ kindness? c) With whom can you share good news? d) What opportunities is God opening up for you as a group to bless your local area? e) Who else should you ask to join this local house of prayer? 7. Keep going. Persistence is key. Continue to seek God's Kingdom. Rejoice and celebrate in God and in his answers to your prayers. If you would like to explore whether being a member of a House of Prayer is for you, contact Rev Sally Gaze on 470762 or come along to one of the advertised meetings to find out more.